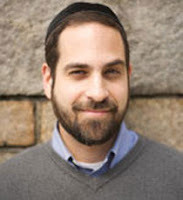 Rabbi Adam Jacobs is the Managing Director of the Aish Center in Manhattan. He was born and raised in New York and has lived in Boston and Jerusalem, where he received his rabbinic ordination. He completed his B.A. in music from Brandeis University and has a Masters of Jazz Performance from the New England Conservatory. He is a blogger for the Huffington Post’s religion section, and author of 128 Reflections: Judaism's Essential Wisdom on Personal Growth. Try as I might, I continue to be startled by the mindset of the non-believer. It’s not so much that I can’t grasp the notion that someone could believe that there is no Creator and that there is no grand design to the universe, but rather that so many of their choices and thinking patterns seem to suggest that they believe something quite unlike that which they profess. Often, I’ve inquired of non-believers if it at all vexes them that nothing that they have ever done or will ever do will make the slightest difference to anyone on any level? After all, one random grouping of molecules interacting with another has no inherent meaning or value. I still await the brave soul (or neuron complex if you prefer) who will respond that I am quite correct; that no thought, deed, action or impulse is any more significant or meaningful than any other, that statements like “I would like to enslave all of humanity” and “I would like a chocolate bar” are functionally equivalent, and that their very own thoughts and words are intrinsically suspect as they are nothing more than some indiscriminate electro-chemical impulses. Until then, I will carry on believing that most “non-believers” actually believe a bit more than they generally let on, or are willing to admit to themselves. That, or that they have contented themselves to willfully act out fantasies that bear no relation to their purported worldview. Let’s put this assumption to a test. How would you answer the following series of questions? I posit that if you are inclined to answer any of them from a non-materialist perspective then you might secretly suspect that there are grander cosmic forces at work than those discernible on a purely empiric level, or, possibly, that you are a victim of societal programming. 1. Would you be willing to sell your parent’s remains for dog food? If you answered no, why? As there are finite resources available to us as we plod through our limited number of revolutions on this planet, wouldn’t it be in your interest to maximize them — especially considering that a non-functional carcass provides little to no personal or societal benefit (and is a little unpleasant)? If you suggest that it represents something that was important to you and therefore you are inclined to treat it with more respect I would ask, “so what?” Your notions of respect and importance are subjective, non-intellectual whims that in any case (as we’ve said) are in reality nothing more than tiny electrical blips in your skull and worth far less than cash. Could it be that subconsciously you suspect that it’s just wrong to do it — wrong in a way that transcends your temporality? If not, and if you would sell your mother’s corpse so that it can be made into pet grub, congratulations: You are an authentic non-believer.